CenturyLink® Cloud Application Manager is a cloud-agnostic application and infrastructure management platform with integrated Managed Services delivered anywhere via automation. The centraized platform enables IT organizations to optimize infrastructure and costs for anticipated business requirements by efficiently managing workloads across any infrastructure environment. Work for CenturyLink Cloud Application Manager? Learning about CenturyLink Cloud Application Manager? "Dedicated Cloud Compute & Public Cloud Customer"
The sales and support staff seem to really care about customers. The Dedicated Cloud Compute and Public Cloud environments have been rock stable. Architect stays with customers even after go-live. The architect we have is very good and knows how to get things done. There is still a traditional telecommunications mindset with certain groups and people. There are knowledge gaps in certain support areas. We had a long standing occasional database issue that took forever to figure out. However, they did stay with it and work with us on it. Microsoft recently increased the costs for SQL server. CenturyLink took the opportunity to raise the rate by an additional 35% above what Microsoft is charging them. However, CenturyLink is working with us on a alternate solution for the cloud database that will actually lower the cost. The question is, why weren't we on an alternate solution to begin with. In conclusion, you have to keep an eye out on your costs and your best interest. CenturyLink is eager for business in the competitive cloud market. Make sure you get the right architect, which we did, and make sure the deliverables are correct. You also have to be patient with CenturyLink as I stated earlier they still act like a traditional telecommunications company at times. 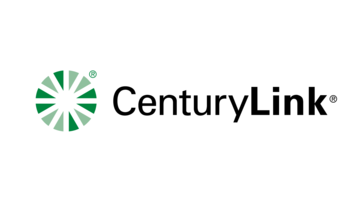 CenturyLink hosts our company E-Commerce platform, both production on the Dedicated Cloud Compute and or Disaster Recovery on the Public Cloud. CenturyLink Cloud offers a very powerful IaaS offering that is above industry average. They also offer a unique blueprints feature to quickly provision VMs with the tools you need to get started; it doesn't save you months of time, but does make it more convenient for you to get started without having to download and setup yourself. There isn't much to complain about, but one recommendation would be to allow users to view all VMs in one table, rather than segregating by regions. If you're looking for high performance, CenturyLink Cloud should definitely be on your list of IaaS providers to consider. We conduct IaaS testing on price-performance to help our clients right-size the cloud environments they plan to deploy. We had a few issues with our service but the customer service was always great. All of the staff is very responsive and won't just transfer you from department to department. Had some technical issues, but all issues were resolved promptly. They're customer service representatives have been very responsive throughout the process. I would recommenced to any business considering their services, they offer many great solutions. Their platform was very easy to use for all employees, we were able to quickly implement. Ease of connection. fast in my area. I no longer use Century link for business. I like the ability to be able to store all data, files, presentation without the huge price tag. In also able to collaborate amongst colleagues effectively and easily. I'm solving the need for a cost-efficient way to sort and store large data files. I'm able to have this info on the go and I'm able to share amongst colleagues and potential clients. This platform provides fast speeds and service for a reasonable price. The syncing capabilities are not always working, and when they do, it takes quite a bit of time to process. This is definitely a fast performing program. Great service for the price and able to maintain a vast amount of storage easily. I'm able to use this tool to collaborate better with others. It's a cost effective solution and I'm able to store much larger files than my previous system. Back end management could be a little more power-user friendly. I enjoy the flexibility the remote cloud solution offers. I like the UI the best because it's easily navigated and not too trivial for non-technical users. CenturyLink has by far and away the worst customer service, so that. We are able to leverage it for better reporting in terms of analytics. It has simplified the process of better granularity in our linear reporting metrics. "I used the virtual machine in the windows server"
Internet speed was very fast, the machine was fast and reliable also. It can be a little pricey if you're on a short budget, but if not, go for it. Regarding my experience with the virtual machines, it went all very smoothly. I was just testing the VM's. "Symphony Has Matured Since Infancy"
This has one of the easiest to use web interfaces that is not only intuitive but descriptive. Networking can be a daunting task within Symphony, and I spend some time with support to get it nailed down. Symphony has made great strides towards being an enterprise cloud provider, and when investigating what is a good solution for you, I would recommend checking this out. * We monitor all CenturyLink Cloud Application Manager reviews to prevent fraudulent reviews and keep review quality high. We do not post reviews by company employees or direct competitors. Validated reviews require the user to submit a screenshot of the product containing their user ID, in order to verify a user is an actual user of the product. Hi there! Are you looking to implement a solution like CenturyLink Cloud Application Manager?